be included in the musical. individual student creating a ‘team’ spirit for all to enjoy. into a Cabaret like setting with seating for approximately 100 people. even encouraged to take part with audience participation! other performances by older students. The theatre is always full to capacity and it proves to be a thrilling and uplifting experience for all the members at Stage Door Studio. As part of the great social able times spent at Stage Door Studio we often organise theatre trips. There is a great family atmosphere that exists within the group, giving the opportunity for everyone to come together and share happy times. Life is never dull at Stage Door Studio, so everyone is encouraged to support the activities for the good of the group in general. together and share happy times. Life is never dull at Stage Door Studio, so all are encouraged to support the activities for the good of the group in general. Whether it’s Acting, Dancing or Singing, every student will benefit – confidence for life! Scripts, Improvisation, Games, Playlets, Duologues, Monologues, Team Building exercises, Warm-ups – Stage Door Studio has it all! Ideal for the solo performer or the one who would just like to be a member of a team. Each student brings that special something to the group! All for One and One for All! Rehearsals require a great amount of hard work from everyone involved. Many pressures exist in life today, so it is a wonderful achievement when a musical actually comes together. Learning the script, songs and dances are not easy to do especially when we all lead such hectic lives. But when we accomplish what we set out to do, it can bring great joy to all who see the finished result. The team at Stage Door Studio Theatre Workshop is led by two experienced tutors: Anne Redfern and Janet Fletcher with many years experienced in the theatrical arts. Starting the workshops in the year 2000, Anne and Janet have worked together on numerous projects, encouraging young people to achieve the highest possible standards of their potential and focusing on their strengths as individuals. Anne and Janet ensure that everyone in attendance benefits from their direction and supportive attitude, always learning new skills which are challenging in so many different ways. We are Disclosure Barring Service (DBS) Criminal Records Bureau (CRB) and Matron certified. Workshops are usually of 1 hour duration and comprise of a healthy mix of topics. Acting in groups or as individuals. Learning steps to simple or complex dance routines. Learning to sing with techniques. All enable the student to become a solo or ensemble performer. ‘Specialist’ subjects can be taught on a longer duration from 2 – 3 hour sessions. Kelly We heard that Stage Door Studio would be a great experience for my son and he’s only been coming two weeks and he loves it! Students from the age of 5 years plus (or depending on their ability) can benefit from being in this delightful energetic group. Stretching themselves to push the boundaries to achieve how to gain greater confidence whilst covering Acting, Dancing and Singing. All three areas help the individual student to gain more inner confidence and awareness, enhancing their lives with skills that will enable them to achieve greater success. A committed and dedicated approach is vital by all who attend so that the maximum benefit can be established. Acting out various script to the more impromptu form of improvisation, all are challenging and enjoyable to those in attendance at the workshops. 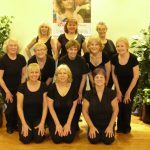 A variety of dance techniques from ballet to contemporary aspects, along with solo singing – the Sunray group has much to offer, making it a fun time to spend at the workshop. Dramatic and thought-provoking are incredible words that could describe the Phantom groups – available to students aged 11 plus (or depending on their ability). This is the older group that operates at Stage Door Studio with students who are setting off towards becoming young adults. A dedicated, committed and respectful attitude is vital whilst attending workshops. 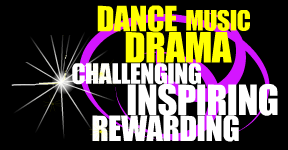 Acting, Dancing and Singing are all covered in this fast-moving, energetic and inspiring class. A large amount of energy coupled with enthusiasm is necessary for the student to gain the most from the modern techniques used. The philosophy of ‘have a go at anything’ and the ‘glass is half full’ never empty, must surely be the key to the on-going success in this group. Available to adults, these workshops are held weekly for 1 hour and cover various forms of dance. Modern, Jazz, Line, Salsa, Polka etc. All who attend just need enthusiasm and a ‘Yes’ approach – open to non-dancers, just come along and share in the fun way to learn something new! Various workshops take place throughout the year, please contact Anne Redfern on 01422 200334 for further details.